Here we have a Japanese paper model of the famous dodo bird. Dodo's are believed to have gone extinct sometime in the late 1600's. The flightless bird became an indelible part of our collective pop culture memory after Lewis Carroll included an anthropomorphic dodo as a character in his 1865 novel, Alice in Wonderland. 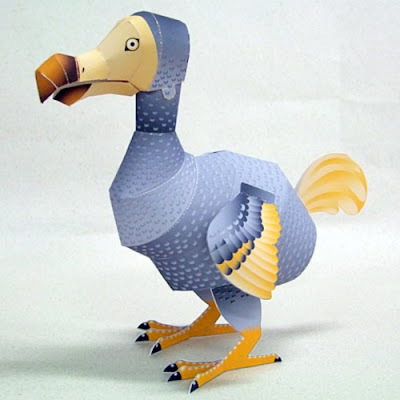 The papercraft template and instructions for the dodo are available here. The animated television series, The Avengers: Earth's Mightiest Heroes! premiered on Disney XD in 2010. 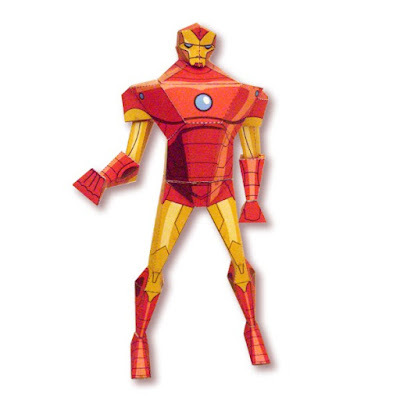 This Iron Man paper toy was released by Disney the same year to promote the show. The look of the toy reflects the animation style of the series. Although Earth's Mightiest Heroes was replaced by the Avengers Assemble show in 2013, this papercraft is still available. The PDF template for the toy may be downloaded here. 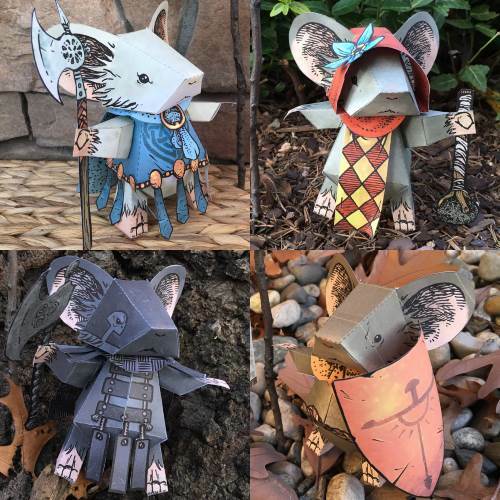 Sometime, when I wasn't paying attention, David Petersen went and added five new Mouse Guard paper toys to his list of offerings! New to the collection are Gwendolyn, Piper, Rand, Midnight and Conrad (not pictured). Petersen, of course, is the creative genius behind the Mouse Guard comic books on which the paper toys are based. All ten of the toys in Petersen's papercraft series may be downloaded here. Here is a nifty collection of papercraft bobbleheads depicting characters from the BBC's 1981 television adaptation of Douglas Adams' The Hitchhiker's Guide to the Galaxy. 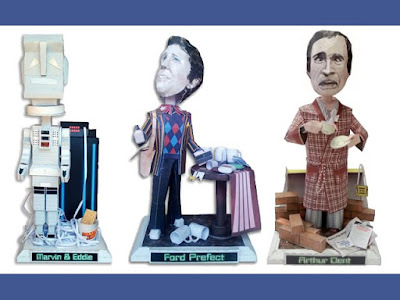 Included in the set are Marvin the Robot, Eddie the Computer, Ford Prefect and Arthur Dent. Each of the bobbleheads is the creation of UK papercraft designer BazookaJo. 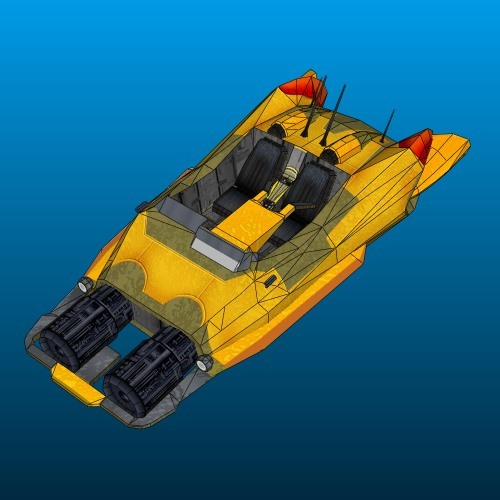 Templates and instructions for the models may be downloaded here. The "bobble effect " for the figures is achieved by making use of a spring from inside a retractable pen. In Star Wars: Episode III, Anakin Skywalker hot wires an airspeeder in order to pursue the bounty hunter Zam Wesell who had just made an attempt on Padme Amidala's life. The yellow, open cockpit speeder Anakin "borrowed" was a XJ-6 "hot rod" manufactured by Narglatch AirTech. This paper model of the XJ-6 was created by MTK. 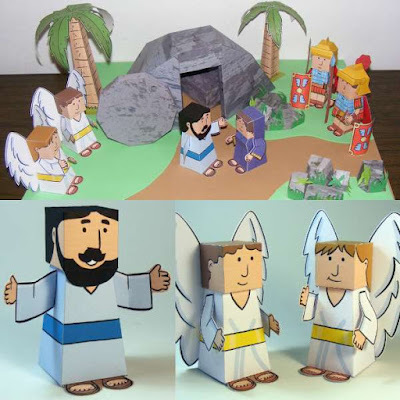 A download of printable papercraft templates in Pepakura PDO and PDF formats may be found here. Is that you Gunter? 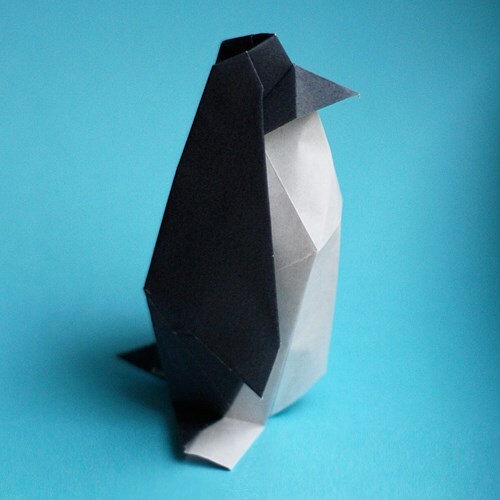 ^^ This origami penguin is one of the many designs of origami artist Jo Nakashima. As should be obvious, the penguin was created from a single square of paper that is black on one side and white on the other. A video tutorial on how to fold this origami may be found here. Build photo by Jessica Jones. Here's an antique paper model of an antique car. 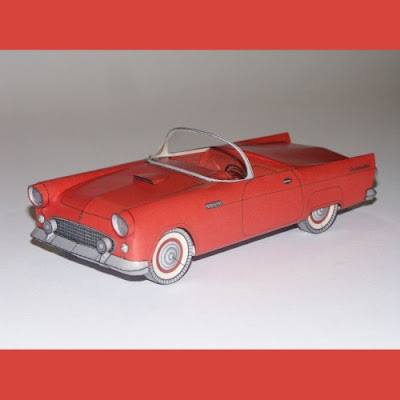 This papercraft 1956 Ford Thunderbird was created in 1957 by Otto Ravensburg, a German designer. The model is definitely not for beginners! One factor contributing to the difficulty is that the instructions are in German and do not include any images. A download of the template may be found here. Thunderbirds were first produced for the 1955 model year.